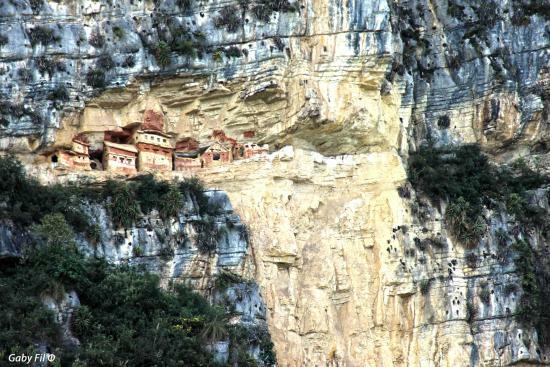 The sarcophagi of Karajía are located 45 miles (70 km) northwest of Chachapoyas. 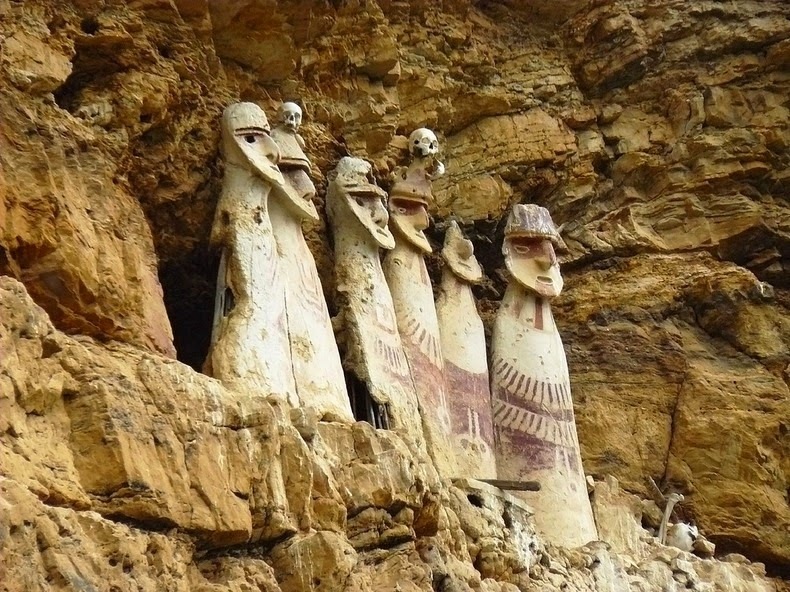 These clay tombs have human forms and are set along the edge of a cliff—an altogether dramatic and strange sight. 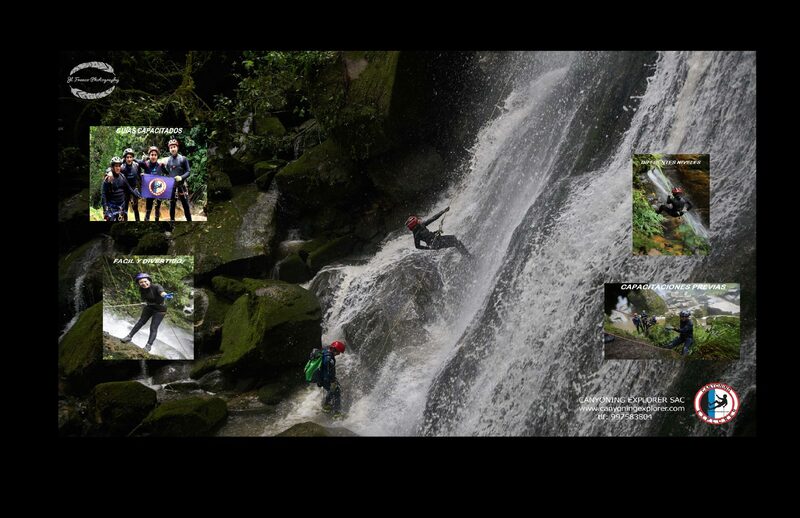 ​Gocta Falls is a two-level waterfall located in the upper Amazon basin in Peru. 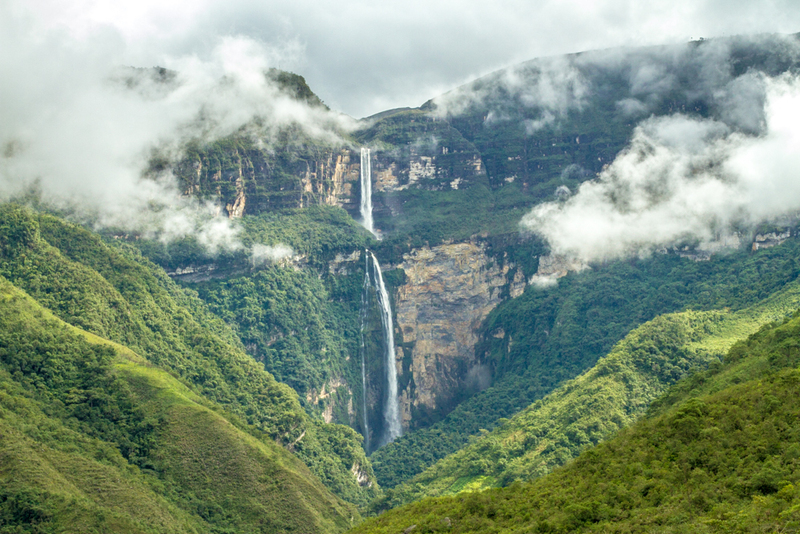 The waterfall, which can be seen from miles away in the heart of the Chachapoyas region, is accessible by a day hike or horse ride that culminates with a fresh shower from the waterfall’s spray. ​Gocta Falls es una cascada de dos niveles ubicada en la cuenca alta del Amazonas en Perú. 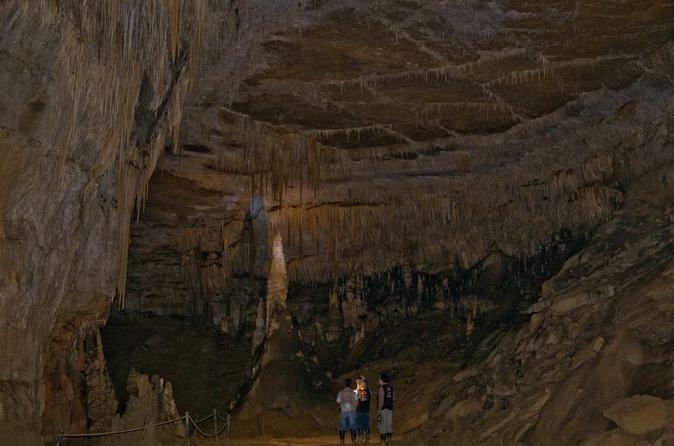 La cascada, que se puede ver a kilómetros de distancia, en el corazón de la región de Chachapoyas, es accesible mediante una caminata de un día o un paseo a caballo que culmina con una nueva ducha del rocío de la cascada.